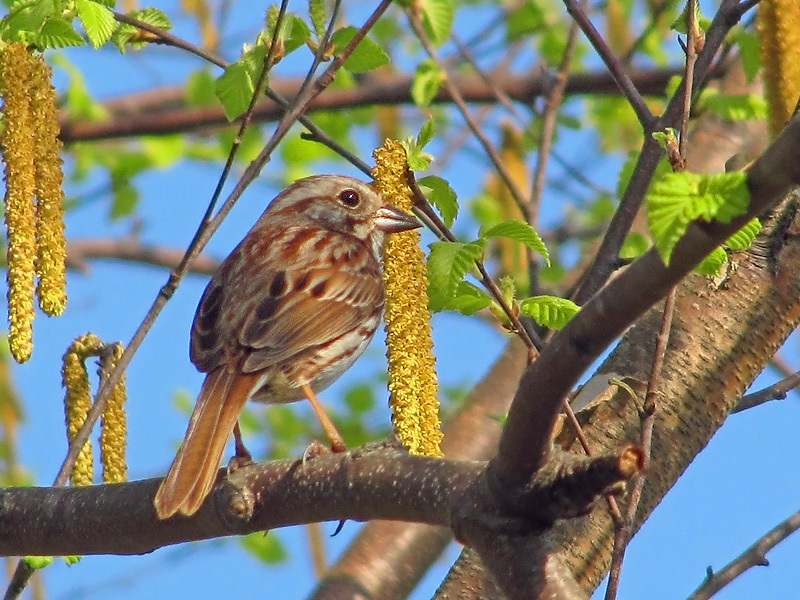 This darker Field Sparrow was photographed at Lake Park in Milwaukee, Wisconsin. This lighter Field Sparrow was photographed in Marshfield, Missouri. 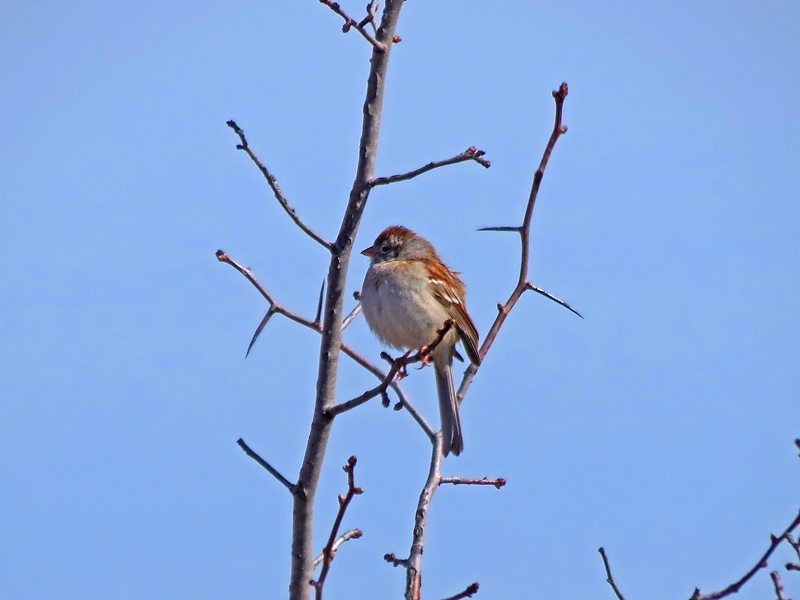 This is a gray Field Sparrow photographed in Bender Park in Oak Creek, Wisconsin. This juvenile Field Sparrow was photographed at Whitnall park in Milwaukee County. The Field Sparrow has a rusty cap with rufous striped upper parts, clear breast, a white-eye ring, a long slender tail, and less notable facial striping with a stout pink bill. Depending on the time of the year it may have darker or lighter coloring. 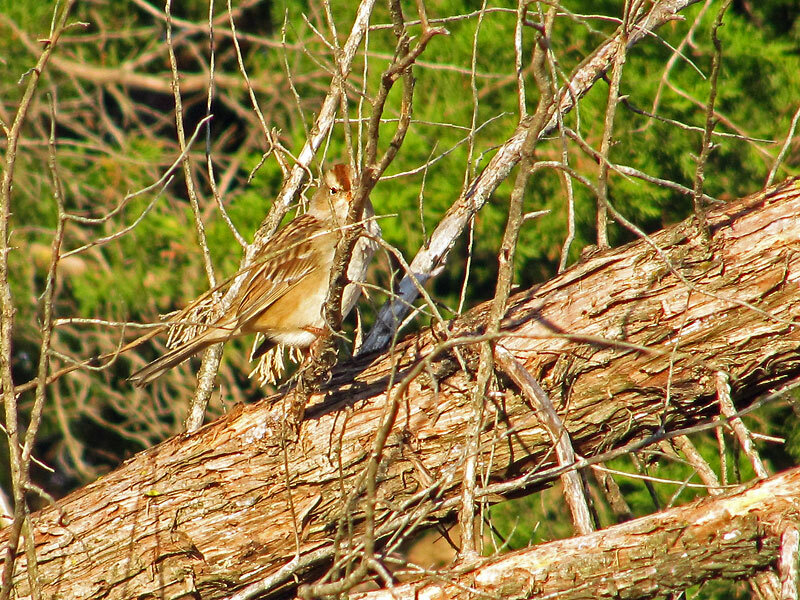 A juvenile Field sparrow has a finely streaked breast. 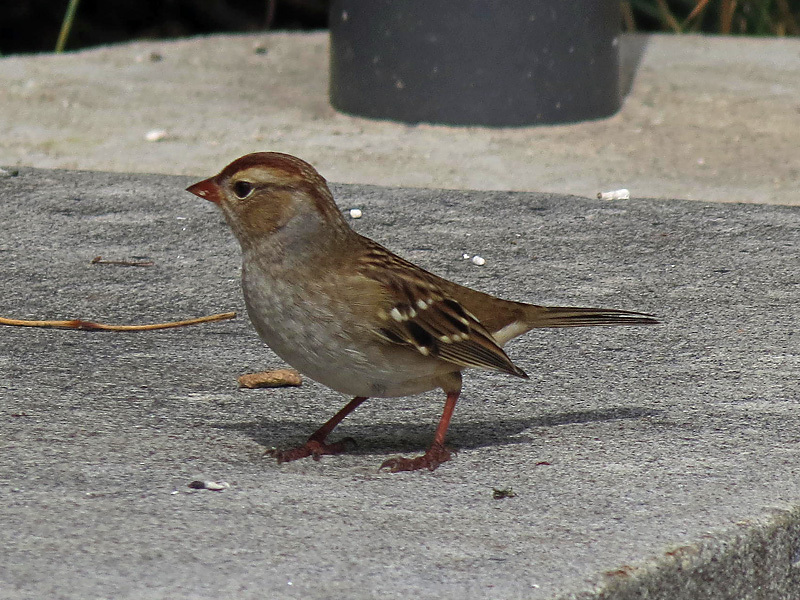 There is also a gray adult Field Sparrow that is worn and faded. They range from southeastern Canada and the eastern half of the United States. They have a habitat of brushy pastures, brush, and scrub. They have a diet of seeds and insects. It forages on the ground or in low vegetation.